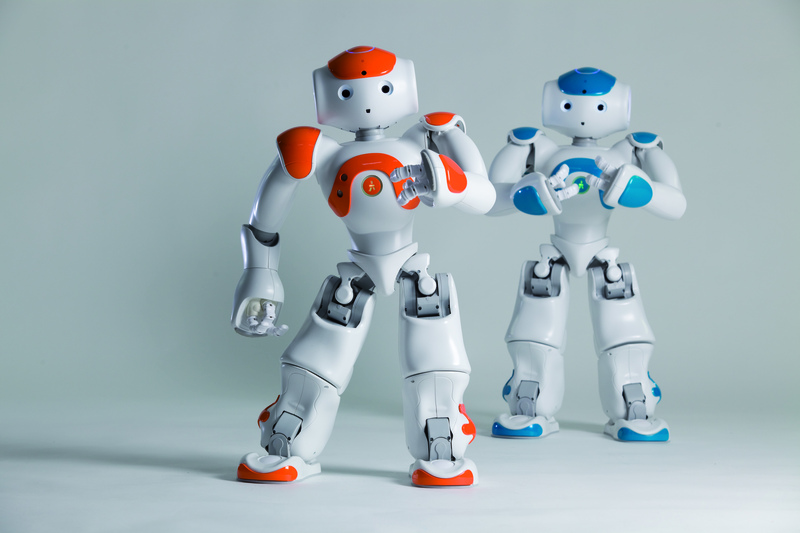 Nao is an autonomous, programmable humanoid robot developed by Aldebaran Robotics. 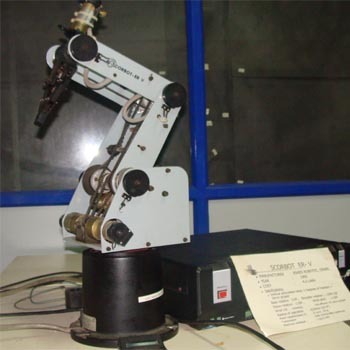 Nao robots are used for research and education purposes in numerous academic institutions worldwide. 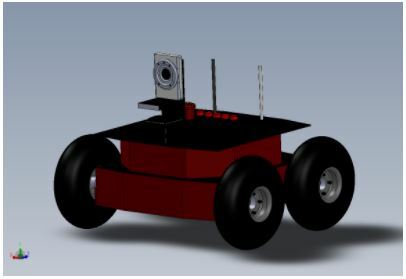 Firebird XII is a skid-steered robot equipped with on-board Intel Core-i3 computer and various sensors. The computer runs on Ubuntu 14.04 and uses Robotic Operating System (ROS) for all basic functionalities like data acquisition and locomotion. 6. On board Intel Core-i3 computer with WiFi connectivity and hot swap power in case of battery is getting low. The Quanser QBot 2 for QUARC is an innovative open-architecture autonomous ground robot built on a 2-wheel mobile platform. 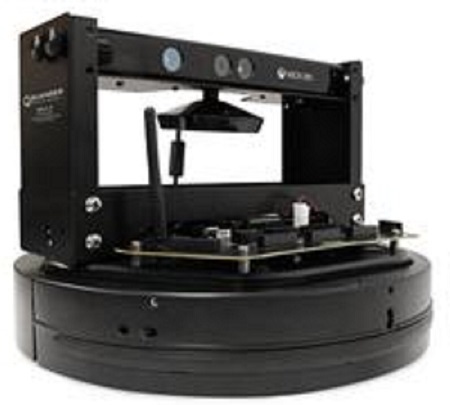 Equipped with built-in sensors, a vision system, and accompanied by extensive courseware, the QBot 2 is ideally suited for teaching undergraduate and advanced robotics and mechatronics courses. 1. Siemens PLC model S7-214; Total Digital inputs-22, Digital output-18; Analog Input-2, Analog Output-1. 2. Step 7/Microsoftware: Digital Display TD200. 3. 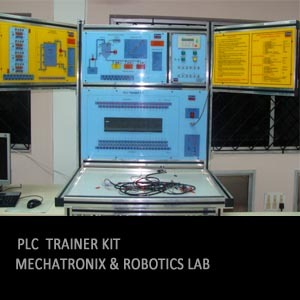 Static Module, Sensor Module, Relay Module,5 Star-Delta Module and Conveyor Module and Pnematic Module. 2. Sensors-PH-Sensor,Conductivity Sensor,Flowmeter, Humidity Sensor, and Smoke Sensor. 1. Five DOF+ Servo Gripper with Teach Pendant ; Max Reach -610mm. Make: FESTO CONTROLS PVT LTD, BANGALORE, INDIA. 2. 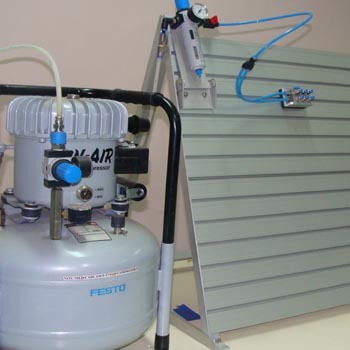 Profile plate and Stand ,Compressed air filter unit with pressure regulator and various types of Pressure control valves, cylinders, flow control valves and PLC. 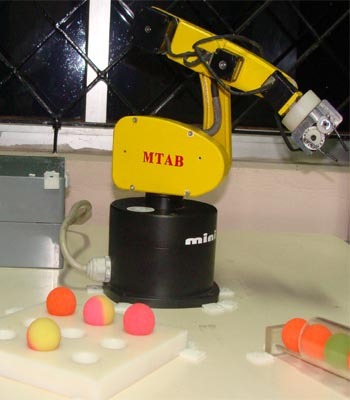 Make: MTAB ENGINEERS PVT LTD,CHENNAI, INDIA. 5. Controller : PC based Stepper Control algorithm. 1. Types of Robots reconfigured : Snake, Chemist, Fingers, Golfer, Coffee Maker, Bubbler,Strider, Dancer, Thrower. 2. Servo Motor Specifications :Range of Motion Per Axis : Max. 180 deg : Accuracy of Motions : 0.72 deg for 180 deg Range. 1. Programmable 32-bit brick, including Bluetooth wireless communication Minimum 4 input, 3 output ports. 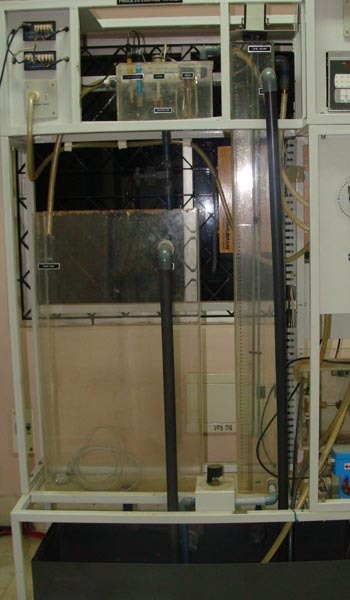 6-wire digital platform. 2. 8-bit AVR microcontroller and 32-bit ARM7 microcontroller . 3. 3 Servo Motors with built-in rotation sensor. 4. 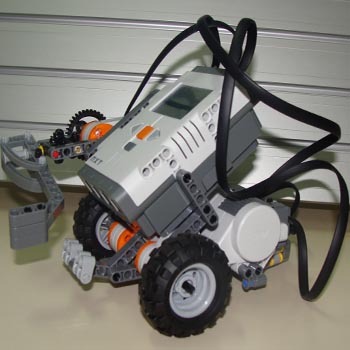 Lego Mindstorms Education NXT software . 5. Sound sensor, ultrasonic sensor and Light sensor. I am a researcher and working on robots. 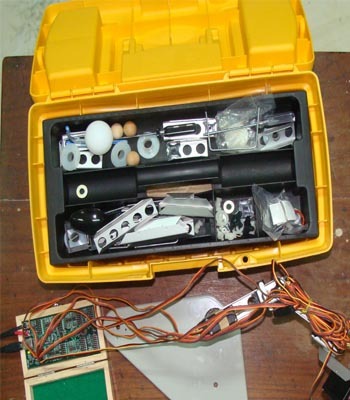 I have all the kit of RECONFIGURABLE UNIVERSAL ROBOT – RCS-6 but my CD was broken. I request you to send me the contents of CD which was sent with that. Hope you contact me soon. Which CD you are taking about?